Dr. Gautam Sinha has been inducted as an Independent Director on the Board of Shipping Corporation of India Ltd in September 2017. Dr. Sinha received hisPhD for his thesis on Directions Dimensions of customer service in Indian Steel Industry from Department of Industrial Engineering Management, IIT Kharagpur in 2001. Dr. Gautam Sinha is an M Tech (Industrial Engineering Management) from IIT- ISM Dhanbad in 1990 and B Tech (Production), BIT Sindri in 1978. Presently, he is the Founder Director of IIM Kashipur from 2012 onwards, wherein he had been awarded for his meritorious work in difference fields of academics. Dr. Sinha has been conferred upon various awards viz. ; ‘Best Teacher in Operations Management’ award at Asia’s Best B-School Awards, Singapore, ‘100 most influential Directors in India’,‘Thought Leader Award’,‘Institution Builder’to name a few. Prior to his present position as Director, IIM Kashipur he held the charge of Director, Lal Bahadur Institute of Management, Delhi from April 2011 to May 2012 responsible for all academic and financial results of the school and reporting to Board of Governors. Dr.Sinha has assumed various responsibilities in the field of academics as Professor, Associate Professor in IIT Kharagpur from 2002-2011. As Professor in IIT Kharagpur, Dr.Sinha was involved in teaching Operations Management, Supply Chain Management, Manufacturing Strategy, Service Operations to MBA students, conducting MDPs for executives, guiding PhD researchers in Operation Management and designed new Executive MBA Programme which was launched at Kolkata and Bhubaneshwar. Prior to his career in IIT Kharagpur, from the period 1990-2002, Dr. Sinha also held charge of Senior Deputy Director in Management Training Institute (MTI) of SAIL wherein, he implemented ISO 9001:1984 QA system in 1993 and helped MTI win Golden Peacock National Quality Awards. From the period 1979-1990 he held responsibility as Industrial Engineer in Bokaro Steel Plant, SAIL and as Trainee Engineer in Larsen Toubro from 1978-79. Dr. Sinha has got to his credit various publications on Research methodology, Customer Relationship Management in Retail etc. He has received training in teaching/learning pedagogy at Harvard Business School in 2013 and TQM at Institute for Resource Development, Maryland in 1991. He has also undertaken consultancy assignments and MDPs for various companies in India and abroad. Mr. Raj Kishore Tewari has been inducted on the Board of SCI in September 2017. He has done his B.Sc. (Hons) and M.Sc. (Physics) from the University of Lucknow, M.Sc. (Fiscal Studies) from the University of Bath, U.K. and LLB from the University of Mumbai. Mr. Tewari was recruited to the Indian Revenue Service in 1976 and has been a part of the Direct Taxes Administration since then till retirement. He has expertise and wide experience of around 38 years in matters relating to direct taxes and has retired as the Chairman of the Central Board of Direct Taxes (CBDT). He has been actively involved in formulation, implementation and administration of Direct Taxes policy of the Government of India. As a member/chairman CBDT he has attended international seminars/ conferences. He was a member of high level committee appointed by Ministry of Corporate Affairs for making recommendations to strengthen the disciplinary mechanism in professional institutes of ICAI, ICSI and ICMI. He also functioned as Govt Nominee in Board of Descipline of ICAI for three years. In Jan 2019 he was appointed Course Director for 34th course on Legislative Drafting conducted by Bureau of Parliamentary Studies and Training , Lok Sabha Secretariat. Shri Vijay Tulshiramji Jadhao has been inducted as an Independent Director on the Board of Shipping Corporation of India Ltd in July 2018. 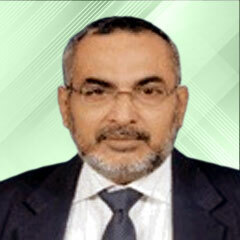 He is a business consultant having experience of more than 30 years in corporate sectors. He is also a member of various Non-Governmental and educational Institutions in Vidarbha region of Maharashtra like Shri Vyankatesh Seva Samiti, Washim etc. His core competency lies in deep understanding of agriculture sectors. 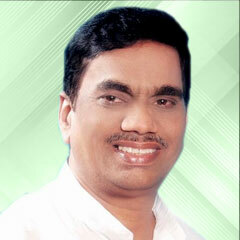 He is also Ex-Director of Maharashtra Agro Industries Development Corporation (MAIDC). He is also closely associated as Guest Faculty with various reputed Management and Engineering Institutes. He has conducted various training programmes on project management and also working as an Advisor for corporate training assignments and training faculty. Shri Jadhao is also involved in co-operative sectors and co-operative Banks in Maharashtra like Akola District Central Co-op Bank Ltd. He is a Social Activist and his social contacts and experience in business are also very helpful to the future prospects of various company. Dr.P.Kanagasabapathi was inducted in the Board of SCI in November 2017. A Professor of Management and Adjunct Professor of Law, he obtained his Doctorate in capital markets and investment management as a UGC Research Fellow. 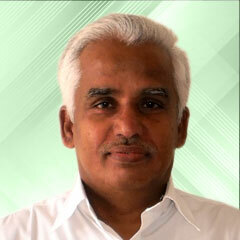 He has a Post Graduate Degree in Commerce from the University of Madras, besides a degree in Law. Known for his pioneering field studies in different industrial and business centres, he and his team have been taking up studies for different industries and had completed a major study for the Gujarat Government. He is involved in India-centric research and studies for more than two decades and was earlier the Director of state level research and training institute promoted by the Tamil Nadu Government. He writes in English and Tamil. One of his books entitled Indian Economic, Business and Management Models is considered a pioneering initiative towards indianising the economics and management education and used as a text/reference in the premier national institutions. He has been working with the central and state bodies and had served as the elected President of an agricultural cooperative bank. Shri Mavjibhai B. Sorathia has been inducted as an Independent Director on the Board Of Shipping Corporation of India ltd. in Dec 2018. He is Practicing Chartered Accountant and fellow member of Institute of Chartered Accountant of India. He has done B.Com (Hons) from M.S.UNIVERSITY, Baroda and Bachelor of Law (LL.B.) from Shri. L.A. Shah Law College, Ahmadabad. He has done diploma in German & French language from faculty of Arts, M.S.UNIVERSITY of Baroda. He holds more than 33 years of experience in practice and at various Industries level. He was appointed as Trustee on Board of Deendayal Port Trust, Kandla – A Major Port of India(Formally known as Kandla Port Trust.) 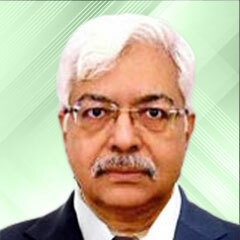 He is a Director on Board of the Kutch District Central Co-OP Bank Ltd. He was Convener of CA cell, BJP Gujarat Pradesh. He is acting trustee on board of many charitable trusts. He was Ex. Mayor of Anjar, Kutch. He is regular speaker at various professional forums and prominent column writer on Swami Vivekanand and Maharshi Aurobindo and Mother. He is promoter of Development of GIDC, Anjar -Kutch, He was Chairman of TAXATION COMMITTEE, GANDHIDHAM CHAMBER OF COMMERCE. He was Chairman of DIRECT TAXATION COMMITTEE, ANJAR CHAMBER OF COMMERCE & INDUSTRIES. He was President of GANDHIDHAM TAX CONSULTANTS ASSOCIATION continues tenure of 14 Years. He was Vice- President of All Gujarat Federation of Tax Consultants Association, Ahmedabad.